Sunday, June 10, 2007 was another busy day for members of the Wawel Folk Ensemble. In the morning, they attended mass and performed at the 50th Anniversary for Sister Angelica at Transfiguration Parish in Detroit, Michigan. Wawel presented its Lubelski suite and Karolina Polka at the party. Wawel has a long affiliation with Transfiguration and was honored to be asked to participate. 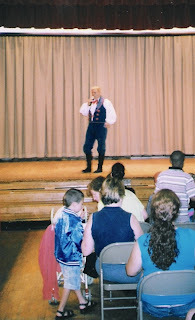 Later that day, Wawel performed at the primiere of celebrity chef Keith Famie's new documentary, Our Polish Story. Wawel performed its Rzeszow suite to an audience of over 700 people attending the premiere. Our Polish Story made its television debut yesterday on Channel 7 in Detroit. 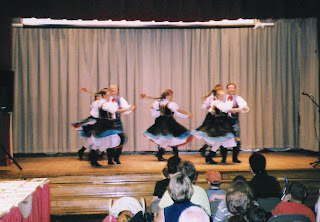 Wawel's next performances will take place at Milwaukee Wisconsin's annual Polish Fest the weekend of June 22, 2007. 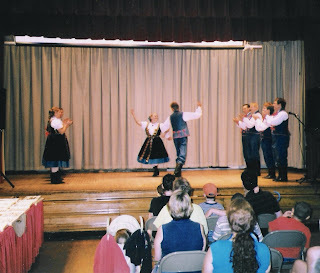 On Friday June 8, 2007, members of the Wawel Folk Ensemble performed at the International Institute's annual Old World Market during the Festival of the Arts on the Wayne State University Campus. Wawel performed its Cieszyn, Rzeszow, Lubleski and Kadzioleczka numbers. Wawel has performed at this function for many years, it is a favorite of the Ensemble.